This is definitely one of my favorites from The Information. 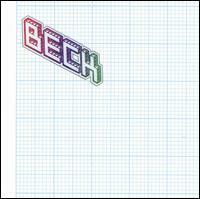 As I have said before, I don't think there is anything Beck has done that I don't like. He's truly a genius. Apparently, The Information is kind of an amalgam, of sorts, of Mutations and Sea Change (also produced by Nigel Godrich) and the sound of Odelay and Guero. We got the acoustic guitars and the less "cluttered," crisper production of those albums. I'm not saying the "cluttered" sound of Odelay and Guero is bad. There's just a clarity to Godrich's production, despite there being many layers to the sound. He's also produced most of Radiohead's albums. Back to the song. It's an uptempo number with tons of percussion and a great groove you can dance to. I want to particularly point out the performance of this song of The Late Show with David Letterman. About half way through Kazakhstan's own Borat Sagdiyev comes out playing a berimbau.